Holly Tuttle, left, representing Women of Today, presented a check for $3,000 as a donation to the Wawasee Community School Corporation. Accepting the check is Becky Linnemeier, school board president. SYRACUSE — Reports were a major part of the regular monthly meeting of the Wawasee school board Tuesday evening, Nov. 14, in Syracuse. Shawn Johnson, who provides testing and other data for the school corporation, gave a report on the fall results of the Northwest Evaluation Association testing for grades kindergarten through eighth. Fall NWEA testing ended in early October. Math scores are historically higher for Wawasee students than language arts or reading, “but the gap is closing,” he said. According to the NWEA results, Wawasee students are generally performing better than the national average or close to it, Johnson said, but a large number of students did not meet the growth standards set by NWEA. Results from this fall were compared to the fall of 2016. Becky Linnemeier, school board president, questioned whether fall to fall results are the most accurate measure of the ability of students because they lose some of what they learned during the summer. She suggested comparing winter to winter results, which Johnson said is a possibility. NWEA testing is done three times each school year in the fall, winter and spring. Kim Nguyen, Wawasee High School principal, presented his school’s improvement plan to the board. He said enrollment is a little lower this year and attendance rates are on a steady decline, which he said is a common problem with many schools and is being addressed by administrators at the high school. He noted a big focus at the high school is encouraging students to choose “pathways,” which are essentially focused on a specific career path. A total of 73 juniors and seniors took advanced placement courses during the previous school year. Wawasee was invited by Goshen High School to participate in an intense, roughly one-week marine biology experience in the Florida Keys. The board gave Nguyen permission to advertise the marine biology experience to see how many students would be interested in participating. Project based learning is heavily emphasized at the high school and a report was given by Brad Stutzman, high school teacher, and Jeremy Van Lue, radio and TV instructor at the high school. Stutzman noted some of his students worked with Van Lue on creating public service announcements on issues teens deal with such as texting while driving, sexual abuse, depression, suicide and others. One PSA about texting while driving has already aired on the campus radio station. In other business, the board approved the purchase of five 78-passenger school buses at a total cost of $469,175. Mike Snavley, transportation director for the school corporation, noted at least one of the buses already being used has been equipped with a stop arm camera and the five new buses will each have the cameras. He added the county prosecutor has stated tickets can be issued to stop arm violators. • Luke Griner was recognized for qualifying for the state boys cross country meet Oct. 28 in Terre Haute. • The board approved the anonymous donation of a Canon EOS Rebel camera to the radio and TV area at the high school. • Wawasee FFA was recognized for competing at the state soils contest in Vincennes in October. • A $20,000 donation from the Syracuse Elementary PTO to assist in the purchase of new playground equipment was approved by the board. 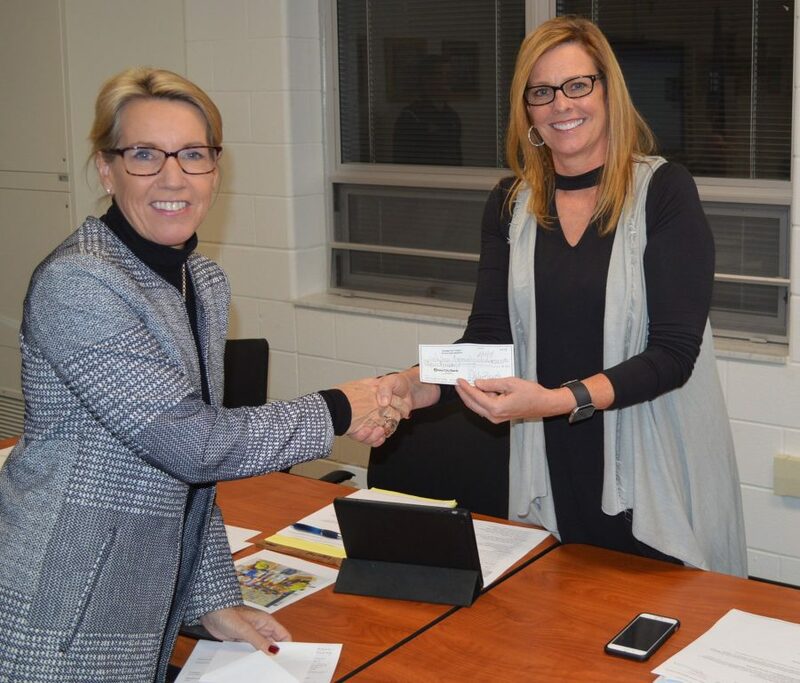 • Milford School received an anonymous $900 donation for its positive behavioral intervention supports program and also a $4,500 donation from the PTO for instructional items, both of which were approved by the board. • A $3,000 donation from Women of Today to the school corporation was approved by the board. • The board approved donations from Miller Poultry (livestock fans and miscellaneous items) and Chore Time Brock (cages, nesting boxes and hanging feeders) to be used in the new poultry building at the high school. • Three percent pay increases were approved for classified staff, bus drivers and administrative salaries. • And several overnight or out of state trips were approved by the board.